Iran has warned the European Union that it must implement a mechanism to bypass US sanctions, for trade in oil and other goods and commodities, “before it is too late”. Before it is too late, Europeans, in particular, should fulfill what they have promised beforehand; otherwise, I am afraid that the future developments will not be conducive…neither for us nor for them or even for other participants of the JCPOA [2015 nuclear agreement]. 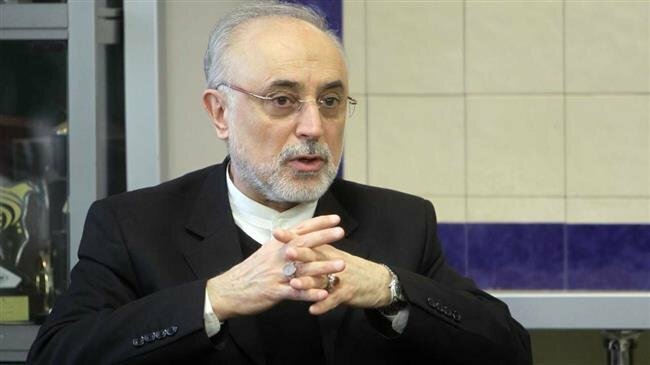 Salehi issued an implicit warning that that no SPV could mean Iran’s departure from the deal with the 5+1 Powers [US, UK, Germany, France, China, and Russia], from which the Trump Administration withdrew in May. The nuclear head said Tehran “does not want to see the deal disintegrated and breached”. “Informed sources” have said the European Commission will activate the SPV on Monday, but will link implementation to expressions of concern about Iran’s ballistic missile program and its role in regional tensions. I hope that they will take this step because this is an encouragement and will help keep the trust that we worked so hard to build between the two sides; otherwise, we will be losing the trust; and once the trust is lost, everybody will be a loser in the game. We should win this battle and we can only win it together.